Project Nkgono had a humble start on the 4th of October 2018 when a group of volunteers from Mautse, Rosendal in the Orange Free State erected 5 new corrugated iron homes for grandmothers (Nkgono) whose existing dwellings were uninhabitable. With a lot of help and generous contributions from kind friends, family, strangers and volunteers from Mautse, they were able to erect five new, safe and secure homes within 23 days!! 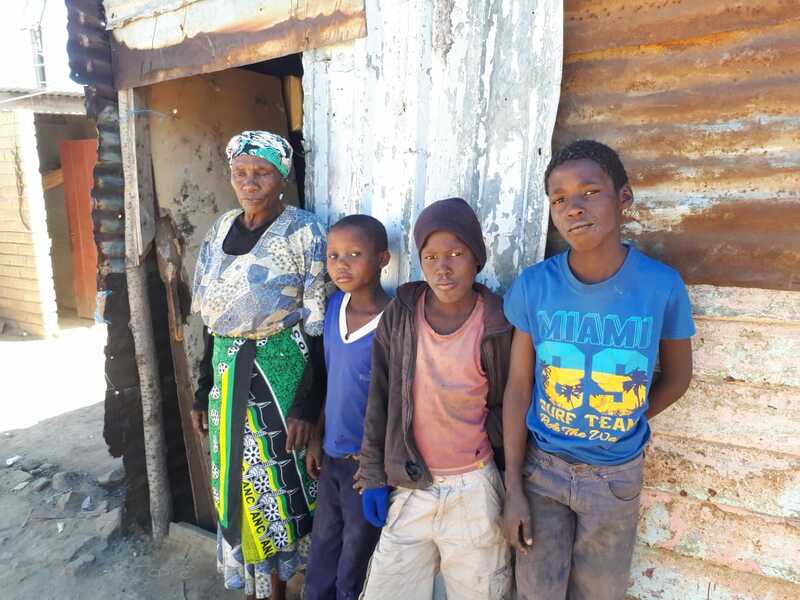 Tarryn Edwards of Contractors Artist says, “Six more families in need have been identified and our aim and commitment is to have completed 15 new homes by the 20th of December 2018.” Tarryn continued “we will present a workshop on 29 December in Mautse for approximately 40 grade 10 and 12 learners under the umbrella of Project Nkgono”. Marshall Hinds was asked to provide some Tyvek® for the making up of Tyvek® wallets at this year’s workshop. With the help of John Donaldson of Formsxpress, we were able to sponsor pre-cut and printed Tyvek® wallets so that workshop participants can be taught to fold and construct the wallets and give them as gifts to the Nkgono. Sounds like this is going to be fun! 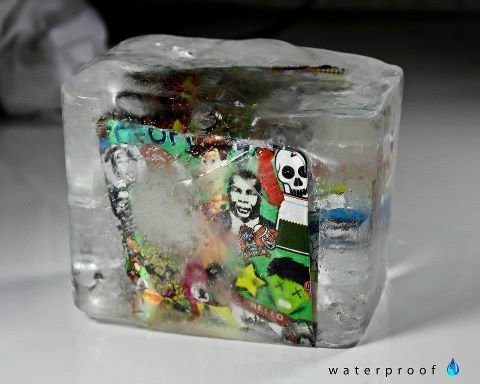 Tyvek® is the perfect material for wallets and has long been a favourite of the trendy and adventurous. They are water resistant and strong and the graphics and feel of the wallets gets better over time. 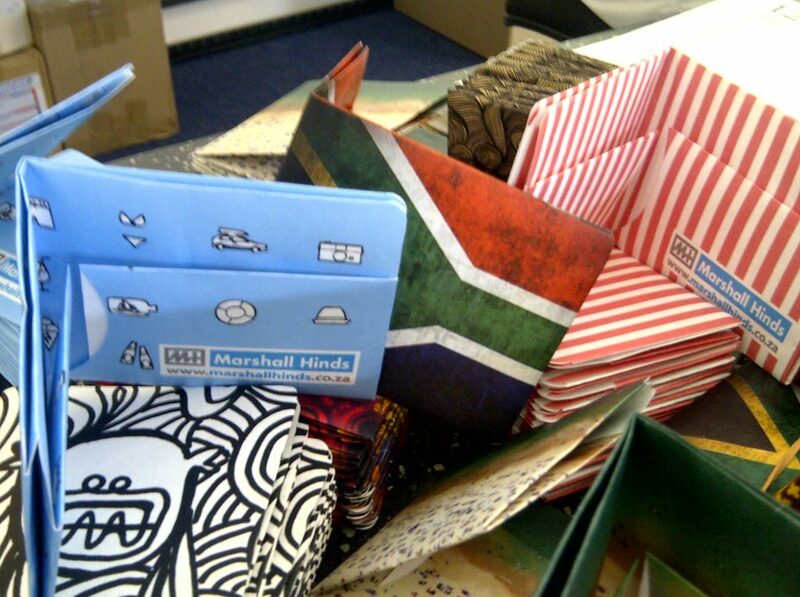 Perfect for promotions and gifts, Tyvek® wallets can be custom made for each individual. If you would like to have more information about Project Nkgono and the work being done by the community of Mautse following them on Facebook. 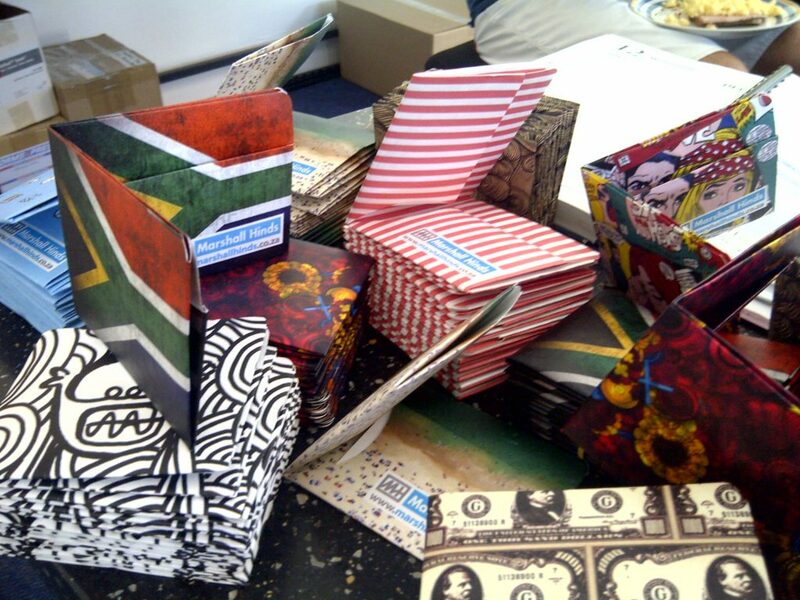 For more information on how you can get Tyvek® wallets made, you are welcome to call Denise on + 27 21 701 1271 or Bongane on +27 11 627 7750.